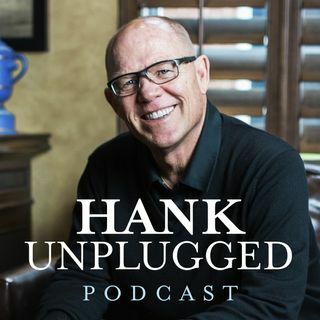 This week Hank is joined on Hank Unplugged by Benjamin Wiker, a distinguished professor and author. The last time Hank had Dr. Wiker on the Hank Unplugged podcast he re-discovered an appreciation for the book 10 Books that Screwed Up the World. Today Dr. Wiker came back onto the podcast to discuss some of the dangerous ideas disseminated through these books, how they are influencing our world and what we as Christians can do about it! Topics discussed include: An opening discussion on some ... See More of the books that have screwed up the world (1:30); The realities of a reductionist, materialist culture (5:30); Why Wiker wrote 10 Books that Screwed Up the World (10:00); Rousseau as an example of how ideas have consequences (14:00); Do we need a fuller understanding of the Reformation as a whole? (19:00); The need for unity between the branches of Christianity, rather than continued division (24:30); Eugenics advocate and founder of Planned Parenthood, Margaret Sanger, and the impact of her book The Pivot of Civilization (29:00); The racism in Darwin’s ideas that often gets overlooked (39:00); The impact of the materialistic works of Descartes, Hobbes and Nietzsche (46:30); The need for historical literacy and better Christian education (52:00); How the culture wars might lead the branches of Christianity to exercise God’s grace to cooperate despite differences on secondary theological issues (57:00); Addressing the idea of faith and works through the words of the Apostles James and Paul (1:01:00); The need to dissect the awful ideas of atheists like Richard Dawkins and answer them with well-reasoned responses (1:10:30).